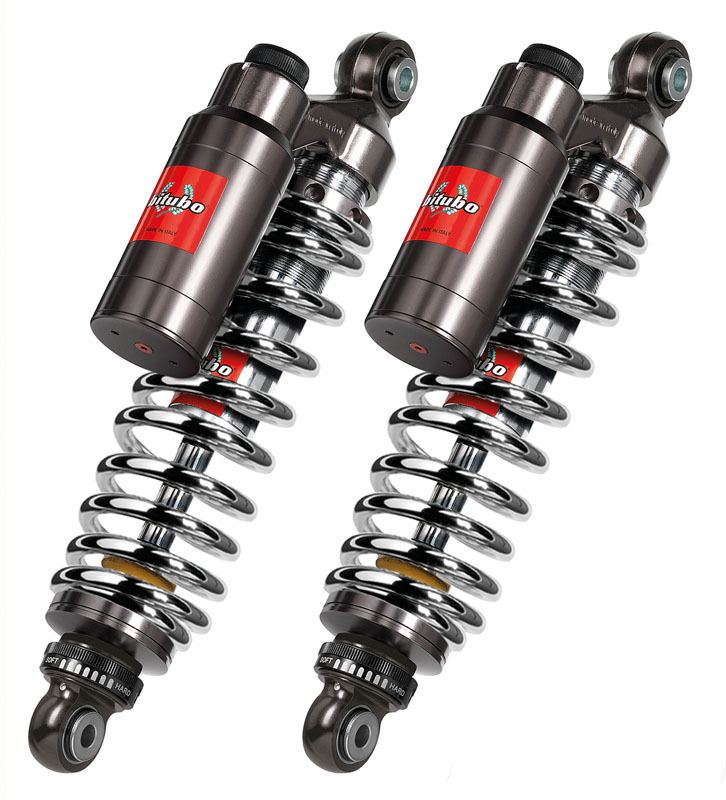 High Performance shock absorbers with a high resistance alloy steel housing, Nitrogen filled aluminum compensator reservoirs, hydraulic damping and 12mm steel damper rods. 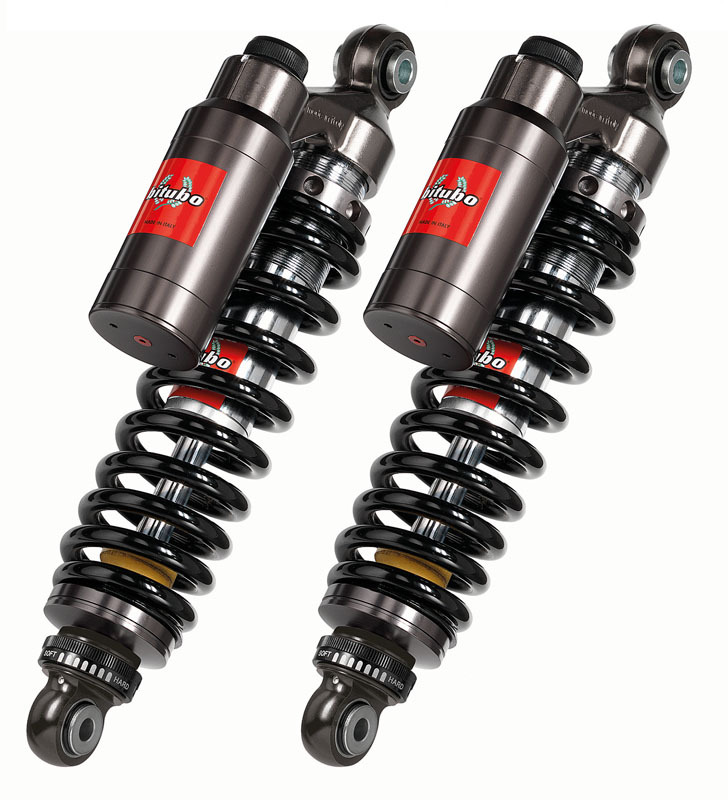 They feature 12-step adjustable compression and adjustable spring pre-load. 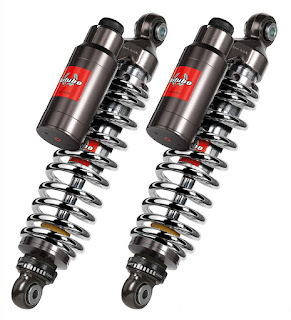 The Bitubo Piggy Back shocks for V-Rod are adjustable up to .400" (10mm) in length.